When you’re looking for a truly modern touch for your room, consider adding Mirror Picture Frames to your art. At Art & Frame, we have the skill and knowledge to add a mirror picture frame that will suit your piece and show off its qualities. Why Do Picture Frames Matter? Picture frames are more than just the shape around a photograph, art print, or other piece. They add nuance to the art piece, either blending into the wall colour so that the art stands out, or bringing a pop of colour to an otherwise simpler room. Frames also protect your art; they generally have dust protectors on the back, to keep environmental elements from damaging the art from behind. If you choose a mat, we use acid-free materials to avoid degrading the piece over time. And glass on the front should be UV protected, to keep the piece from fading due to sunlight. Frames can also add gravitas to a picture, or give it a more modern feel. For example, an oil or acrylic painting is often best displayed with a more ornate frame that gives it a sense of history. A modern black and white photograph may look best with a narrow black or white frame that highlights the shark colours of the photo itself. Choosing a picture frame is a statement about the piece and refines its place in your home. Mirror picture frames are no different. What Do Mirror Picture Frames Add? 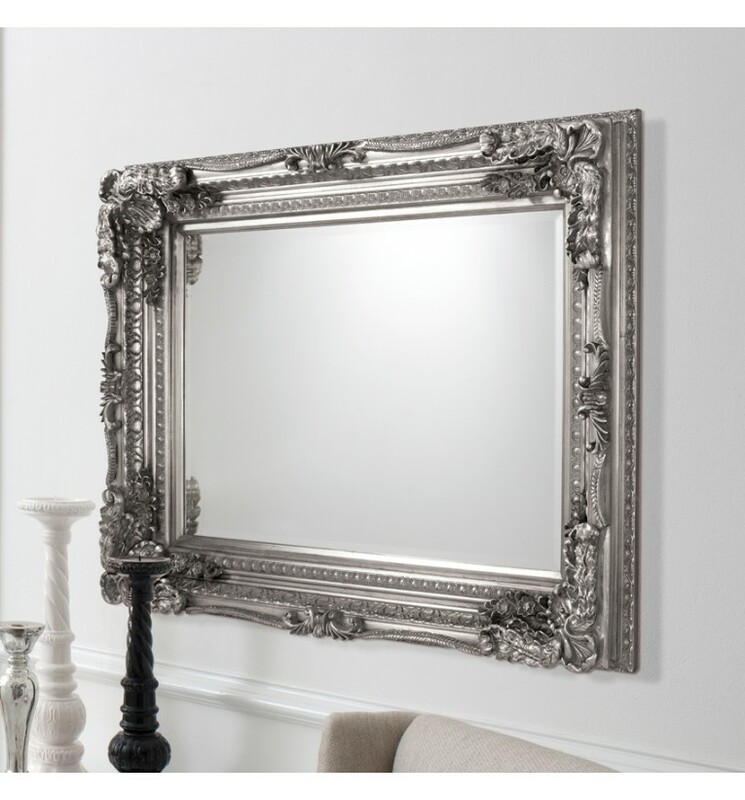 Mirror picture frames are incredibly modern and add a touch of bright light to a room. Since they are reflective, they can make a space seem a little larger. Clustered together on a wall, they’ll reflect what’s behind them, which can be especially pretty if there’s an accent wall or other brightly coloured decor feature. These frames can also add an interesting experience to your artwork; when you look at the picture, you can also see yourself reflected. For certain pieces, that will greatly enhance the overall impact of the Artwork Framing. When To Choose Mirror Picture Frames? It can be difficult to know when to choose these picture frames for your work. That’s why it’s so important to work with design experts like the framing professionals at Art & Frame. We can help you find the right frame for any piece, from special photos to crafts to prints to art work. We will work with you to understand the stylistic feel of your home in general and the room in particular so that you end up with a frame that you love. After all, art shouldn’t just look beautiful in isolation. It should enhance the appearance of the entire room. When you’re finding the right picture frame, it’s important to consider all your options. Many designers, both casual and professional, are used to thinking of the old standards: wood, metal, and other materials. They may not think of mirror picture frames in average situations. But when used to highlight a special piece, a mirror picture frame can be the perfect addition. All of our frames are made from high-quality materials. With twenty years of experience providing high-quality prints to customers in the area, Art & Frame has what it takes to get your art work properly framed and ready to be hung in your home. Visit us today to get a free quote on framing your piece. We’ll help you find the right material, the right shape, and work with you to determine if matting will enhance the piece. Contact us today to ask any questions or to get started.